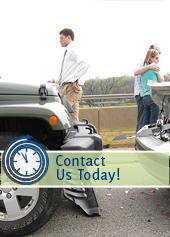 Have you recently been involved in a car accident that is causing you pain? Due to the adrenaline you feel immediately after a car accident, you may feel like you are not in much pain until a few days later. Whiplash happens even in minor fender benders. Although you may not hurt for a couple of days, it is in your best interest to be evaluated by a medical professional after a car accident. If you are looking for a medical team in St Paul, MN that you can count on to evaluate an auto injury, our team at Caron Chiropractic Clinic, P.A., is your perfect match! Every morning when you wake up, what’s the first thing that hits the ground? Hopefully, it’s your feet! Feet are so important and yet, they tend to be neglected by most people until a chronic problem arises. As our chiropractors at Caron Chiropractic Clinic examine their patients, they have found that many of the complaints they are hearing are all linked to the way the individuals walk! While some pain is obvious and can be easily traced back to their walking, some pain even in the neck is found to be directly related to how our foot hits the ground. So how do we improve this? As chiropractors, we can help with proper posture and alignment and even provide pain relief. However, it’s not necessarily going to solve the root and mechanism of injury. This is why Caron Chiropractic Clinic saw an immediate need in St Paul, Minnesota for Orthotics. Back pain? Neck pain? Hip pain? Headaches? Whatever your ailment, Caron Chiropractic Clinic would like to help. Offering chiropractic treatment in North Oaks, MN, chiropractic treatment can greatly benefit those suffering with joint pain, back pain, and even headaches. We are proud to offer spinal adjustments that will truly make a positive difference in the way you live your life. Generally, this is the most common reason why people will seek chiropractic care. Low back pain can be excruciating and caused by a variety of reasons from poor life habits to being in an auto or work related accident. We have successfully treated hundreds of back pain cases without having to use sedative drugs. Chiropractic care is completely natural and equally effective at helping your back pain heal. Although acupuncture may be a new concept in the world of medicine for some individuals, this type of care has actually been practiced for well over 4,000 years. This type of treatment was first used by the Chinese and is now practiced all over the world. If you feel like you are in constant pain and that your body simply can’t heal properly, acupuncture may be just what you need to get back to 100%. If you are looking for an acupuncture clinic in St Paul MN, you can count on our acupuncturists at Caron Chiropractic Clinic, P.A., to perform effective and comprehensive treatment for your ailments. If you are reading this right now, it means that you are likely in a great deal of pain. Maybe you googled, ‘weakness and numbness in the hands’, not even knowing what you had. Maybe you already knew and googled, ‘carpal tunnel syndrome pain relief.’ Whatever you googled, we’re glad you’re here. Carpal tunnel syndrome is not a fun thing to experience. Weakness or numbness in the hand and wrist, even sometimes radiating up the arm! It’s terrible. 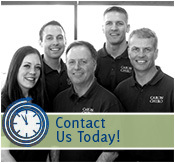 Caron Chiropractic Clinic, P.A., is here to help. Located in St Paul, MN, we offer carpal tunnel treatments for all of those needing some relief.